We've covered a number of savannah habitats so far, but one we haven't touched on so far are the broad-leaved woodlands. 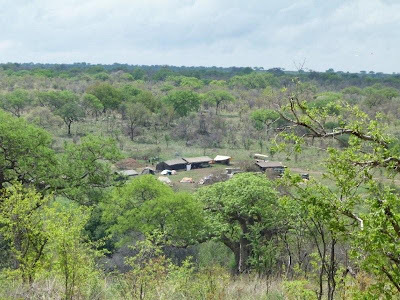 On the one had that might seem surprising - broad-leaved woodlands of one type or another are the dominant vegetation of much of the savannah biome, but on the other hand and despite the area they cover, they're not the areas most safaris spend too much time in. The reasons for this are obvious if you do start driving around them - wildlife densities are much lower in the broad-leaved woodlands than in the grasslands and Acacia woodlands that form the other major habitats of the biome. Despite this overall pattern, however, some species are actually commoner in this type of habitat than elsewhere. So why is this, and what is special about the broad-leaved woodlands? 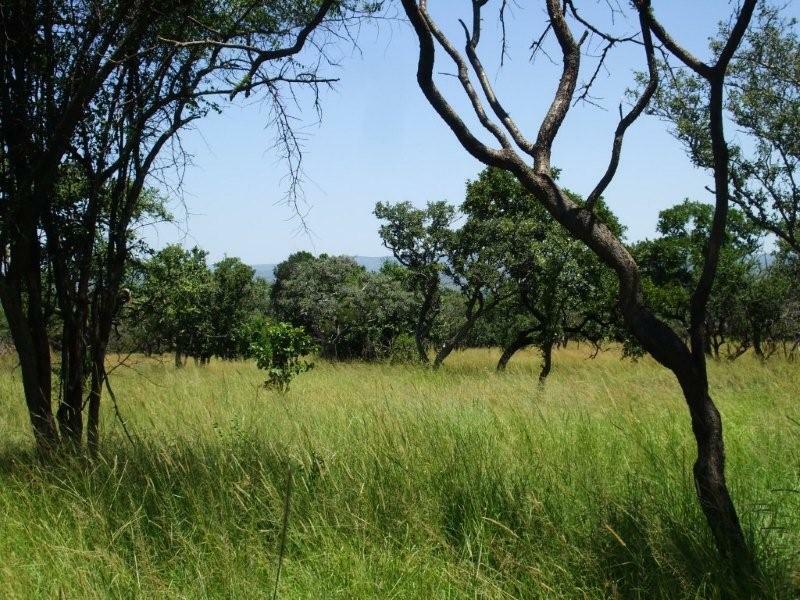 Our Nov training camp was in broad-leaved woodland nr Tarangire! As usual, we'll answer these questions by reference to the savannah big four: water, nutrients, fire and herbivory. The most immediately obvious thing about the broad-leaved woodlands in savannahs is that they're usually found on the higher ridges of an ecosystem - as you move off a ridge you come through the broad-leaved woodlands (typically Combretum - Terminalia woodland in much of East Africa, though a lot of Brachystegia in the southern part of the region) and gradually enter a belt of Acacia woodlands and grasslands on the lower areas. As we should know by now, these ridges are likely to have very poor nutrient loads in their soils - the ridges are often of very old rocks, 550 Million years old or more and have been well and truly washed by rain for much of that time, with the nutrients that were once present now washed down hills to the lower areas where they get used by Vachellia/Senegalias and grasses. 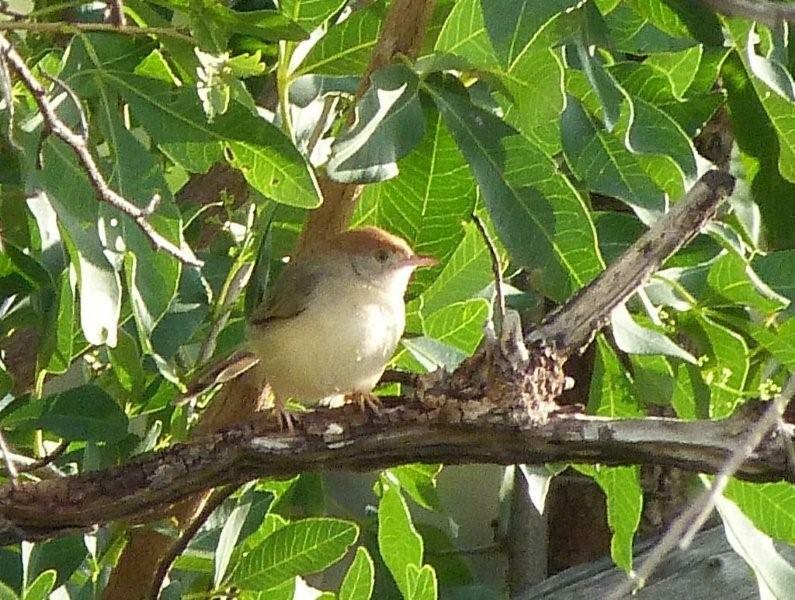 So life is pretty tough in these areas, whether your a plant or an animal that feeds on the plants. Nutrients are particular hard to come by, so growth rates tend to be lower and there's consequently less nutritious food around to browse, explaining the relative lack of wildlife in these areas. The lack of nutrients also explains why the leaves of broad-leaved woodland species turn yellow before falling, whilst those of Vachellia and Senegalia do not: plants with nutrient shortages will try and recover as many nutrients as possible from their leaves before they drop them, and as they withdraw nutrients, so the leaves change colour. By contrast Vachellia and Senegalia ('Acacias') are legumes and have a have an ample supply of nutrients so don't need to do this withdrawing so much before loosing their leaves at the start of the dry season. The comparative lack of browsing in these areas, of course, also explains why broad-leaved woodlands aren't as thorny as other woodland types - there's little nutrient, so there's little browsing, so there's little need to defend yourself from browsing in these areas. Herbivory then, is reduced. 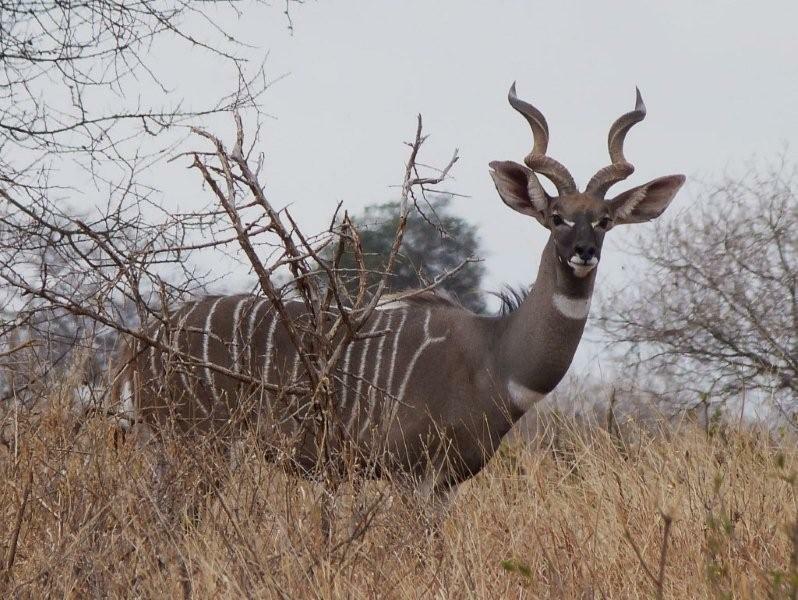 It's far from absent, but it's definitely reduced - and mainly done by some of those animals that are less frequently seen in other areas: Greater and Lesser Kudu are fans of broad-leaved woodland, so too are eland, grey duikers and the like. Why is it that these animals actually seem to like spending time in the nutrient-poor broad-leaved woodlands? Well, on the one hand you could suggest that if they didn't eat there, nothing would and even though it's nutrient poor it would still be a wasted resource, and that's certainly true to a point. But also these animals are all mammals that aren't the best at dealing with predators - they'll usually run a bit, then freeze, which works well enough when predators are at low densities, but isn't going to be so effective on a plain, or where there are large numbers of predators. So it might be predator avoidance that drives these animals to the nutrient poor hillsides that othe animals avoid - though of course we've no way of saying if in fact it might be the other way around, that once you specialise on nutrient poor food you don't need to be so good at avoiding predation! What of the other two processes, water and fire? Well, they don't tend to differ so much between broad-leaved woodlands and the 'Acacia' woodlands. Maybe a little less fire (the grass doesn't grow so well), and a little less water remaining on the shallower soils, but these differences are tiny compared to the major differences in nutrient availablity and herbivory. So, in the interests of simplicity, let's leave the broad-leaved woodlands there for today - interesting places to visit for specific animals and plants (and some nice birds too!) 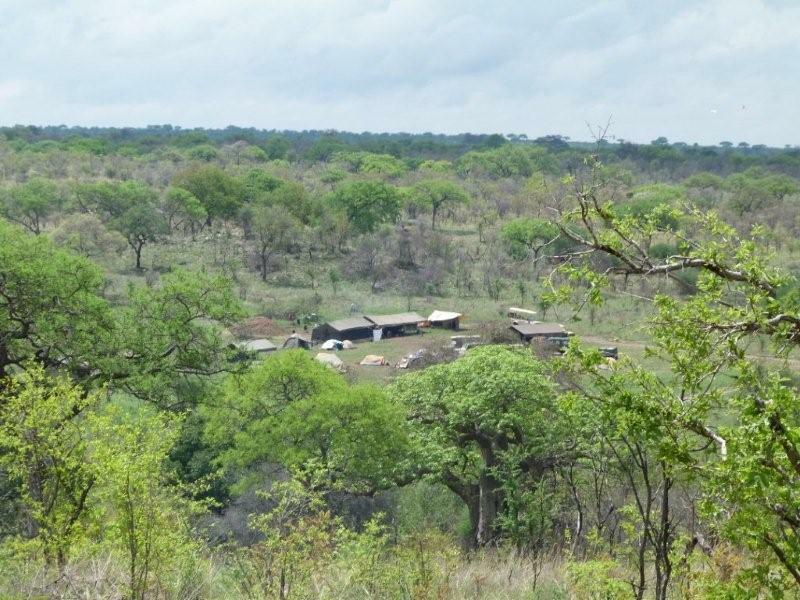 that specialise in these habitats, but not the main focus of many game drives.